Team to a professional level. Terry Marchello father to Ryan and Reece and founder of MRTeam was born and raised in Bondi, Sydney NSW. Terry has been in the automotive industry since the age of fourteen in 1974. 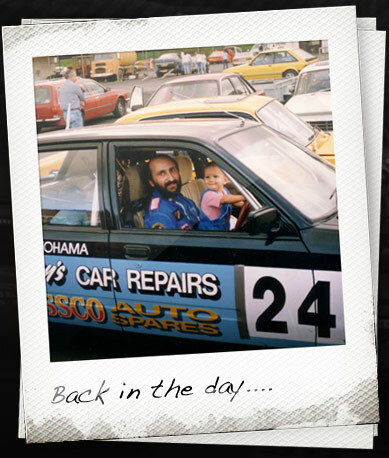 In 1980 Terry created Terry’s car repairs in Bondi. His business was recognised as one of the leading workshops in the Eastern Suburbs of Sydney. Terry became a member of the Holden Sporting Car Club of NSW in 1987 where he achieved recognition for his ability to prepare and drive his own car with speed and reliability, with victories in 6 Hour and 24 Hour relay races in the Group 2E and Sports Sedan race meetings. In 1990 Terry relocated his family to Milton NSW where he built his own licensed workshop. Terry has a very good reputation in his local township, not only for his excellent knowledge and ability in the automotive industry but also for his community involvement with the Milton Ulladulla Rotary Club and the Shoalhaven City Council. Terry’s sons first started developing their driving and mechanical skills in farm machinery and 'paddock bashers' on their Milton property. From a young age both Ryan and Reece knew they wanted to be involved in the motor racing industry. At the age of 15 Reece completed his school certificate and proceeded into a mechanical apprenticeship, at the age of 18 Ryan completed his HSC and also proceeded into a mechanical apprenticeship. Ryan and Reece have been busy completing multiple trade qualifications over the past 8 years. Reece (23yrs) is qualified in Automotive Mechanical Technology, Automotive Electrical Technology and Engineering - Sheet Metal Fabrication. In 2012 Reece was awarded with the Engineering Fabrication Trade Apprentice of the year for the Illawarra & South East NSW Region. Ryan (24yrs) is also qualified in Automotive Mechanical Technology, Automotive Electrical Technology and currently undertaking Engineering - Fitting and Machining. On top of these qualifications Ryan and Reece also have extensive experience in Panel Beating, Spray Painting, Engine Building and Engine Dyno Tuning to enable the team to completely design and build their own race cars.